Volvo’s shift towards electric vehicles is not likely to signal the end of combustion engines. Only some serious investments in infrastructure can do that; but in the meantime, hybrid and hydrogen-powered vehicles are still relevant, says Jim Saker. The announcement from Volvo that all of its new models from 2019 will include an element of electric vehicle technology was a PR coup for the Swedish car maker. It received a disproportionate amount of attention as the “first major car company” to switch to all-electric. But the statement by their CEO Hakan Samuelson that this “marks the end of the solely combustion engine powered car” is more a reflection of Volvo’s position in the market than any justification of a global change. Volvo, known for decades for its safety, has fallen behind other manufacturers when it comes to environmental credentials. It recently introduced hybrid versions of the XC90, XC60, S90 and V90. But let’s not forget that Toyota introduced the mass-produced hybrid, its Prius, worldwide in the year 2000. Toyota now have around 80% of the global market for hybrid vehicles. 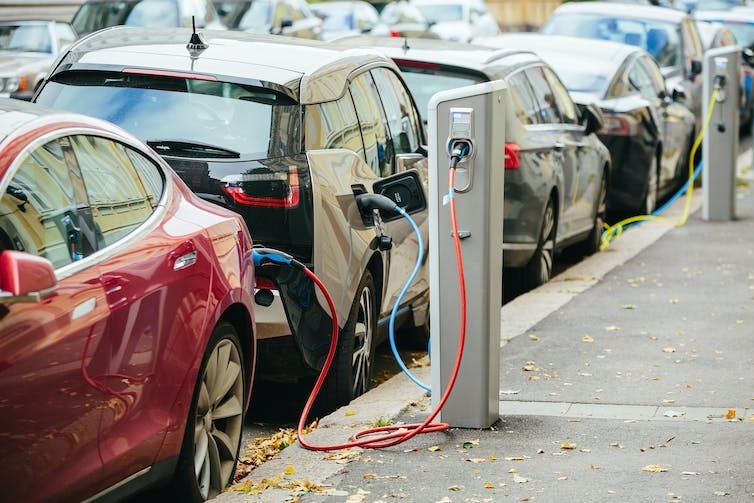 More charge points for EVs are needed (Shutterstock.com). “Volvo’s announcement also steals the show from perhaps the most interesting discussion about the future of cars. That’s whether or not hydrogen-powered vehicles will dominate the market.” It’s not interesting at all. Hydrogen has no chance at all for land vehicles. The inefficiencies from the double conversion, and the huge cost of a wholly new and dedicated refuelling system, fully explain why sales of FCEVs (a few thousands) are an insignificant fraction of those of BEVs and PHEVs, well over a million worldwide. Even if hydrogen offered compelling advantages, it would now be doomed by the Betamax effect. Economies of scale and networking doom the losers without appeal. Which parts of South America have fragmentary access to electricity? The Amazon, but then it doesn’t have many roads or people either. Dr. Saker loses credibility by putting South America and Africa in the same basket. Anybody who has seen a Brazilian favela will realize the ingenuity of the poor in getting electricity, even cable TV. They may not pay for it of course. Yes, Volvo’s decision is not going ‘all-electric’ revolutionary; it is just apparent clear logic. The question is why it did not come earlier and why other legacy brands have not made the same decision. What??? “Hydrogen-powered vehicles are still relevant in the meantime???? Mirai???? ?